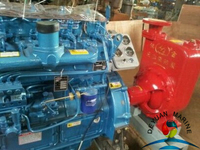 Diesel engine brands: Shangchai, Dongfeng Cummins, Deutz, Fiat, Lane, Weifang Branch and so on. 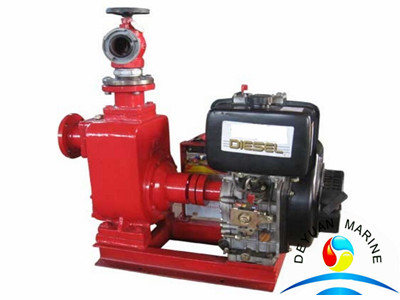 Main uses: fire fighting systems, industrial water supply systems, hot water circulation, pumping stations, mines, etc. 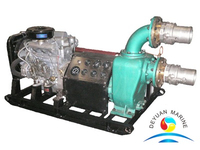 KDS diesel engine centrifugal water pump group adopts the domestic excellent hydraulic model and adopts the performance parameters of IS-type centrifugal pump and ISW-type pipeline pump. 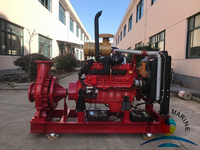 It is designed ingeniously on the basis of general horizontal pipeline pump, and the product shaft seal adopts rigid alloy mechanical seal device, this series of products have the advantages of high efficiency and energy saving, low noise, reliable performance and so on. 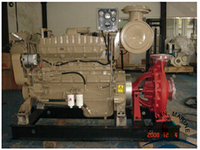 It meets the requirements of the latest national machinery department JB/T53058-93, and is designed and manufactured according to the international ISO2858 standard. 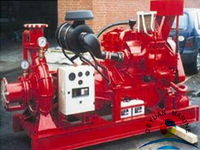 For the transport of fresh water or other physical and chemical properties similar to water, the temperature is not higher than 80 °C. 2) The medium weight does not exceed 1240 kg/m3. 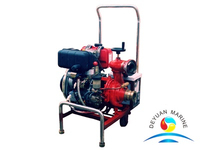 3) The liquid level must be higher than the pump inlet and no idling of the liquid is allowed.